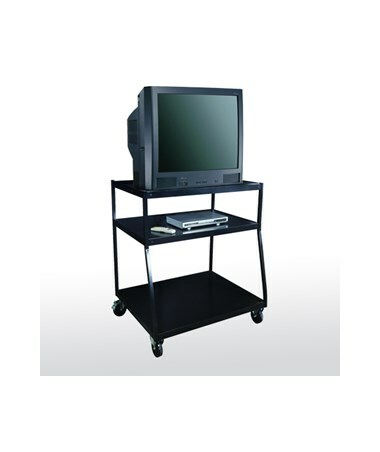 The Sandusky Lee Wide Body TV Cart is a mobile shelf with a capacity of 250 lbs, making it great for holding a flat panel TV or a TV monitor. 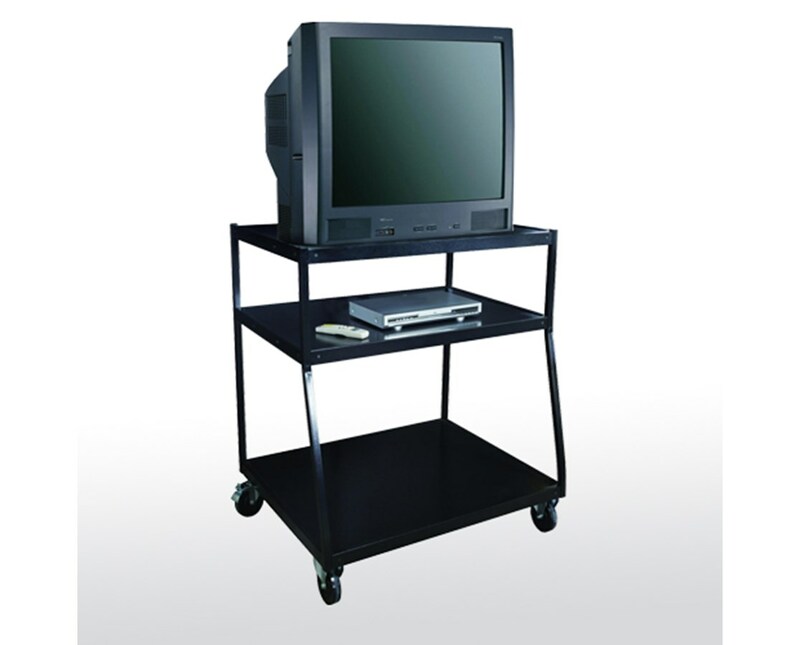 Its top shelves have grommet holes for cord management, while the sliding middle shelf can be used for DVD players and speakers. Four 5-inch industrial grade swivel casters allow it to be transported smoothly and two of these wheels have locking breaks. 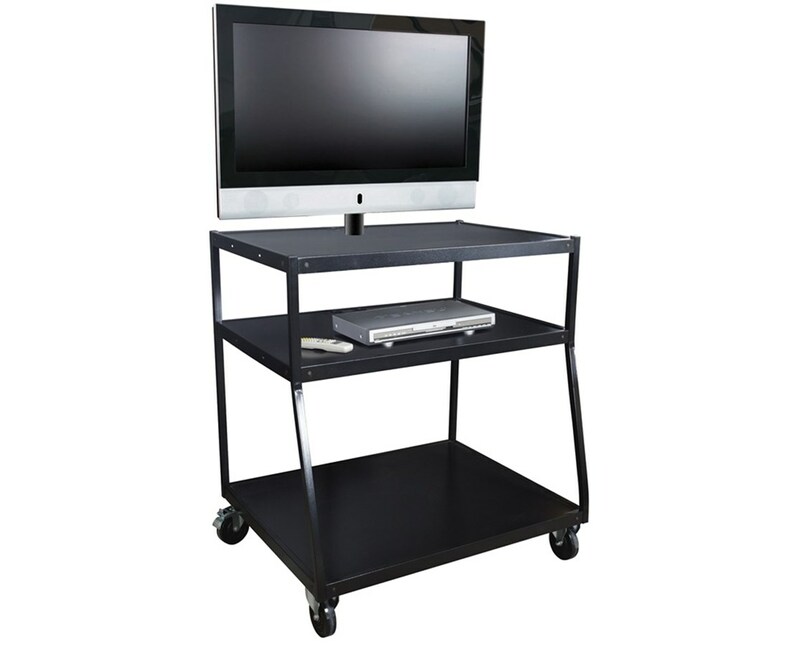 This television cart features a for greater stability and to accommodate larger equipment. A universal mounting system works with standard flat panel televisions. 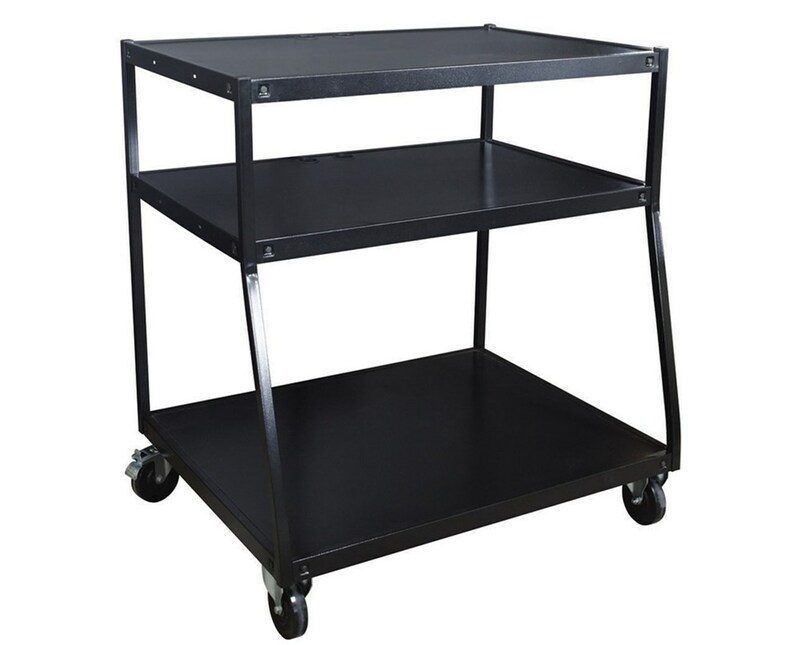 There are two designs available for this cart. One is for a flat panel TV and the other is to accommodate a TV monitor. 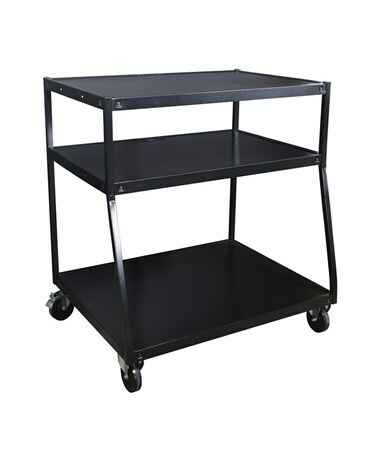 This TV cart is made of heavy-duty steel with a black powder coat finish. 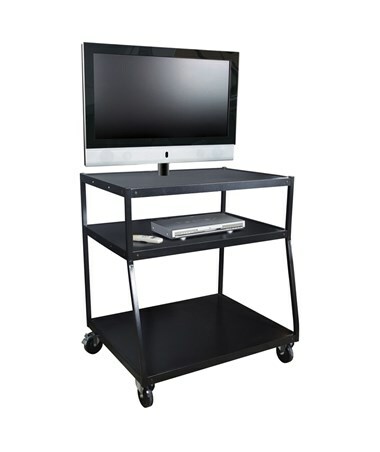 The Sandusky Lee Wide Body TV Cart is available in different types and sizes. Please select your preference from the drop-down menus above.